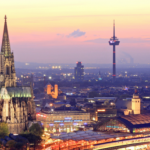 Accueil » Hello dmexco 2015! The MaPS System team is looking forward to meeting you – stop by our stand E-011 in Hall 06.1! Come say hi, have a beer, we will be happy to discuss with you how Data Management empowers Multichannel Marketing! See you today or tomorrow in Cologne (or next week at E-Commerce Paris)!